For the time-starved small business owner—effective tools to quickly grow your sales and profitability. 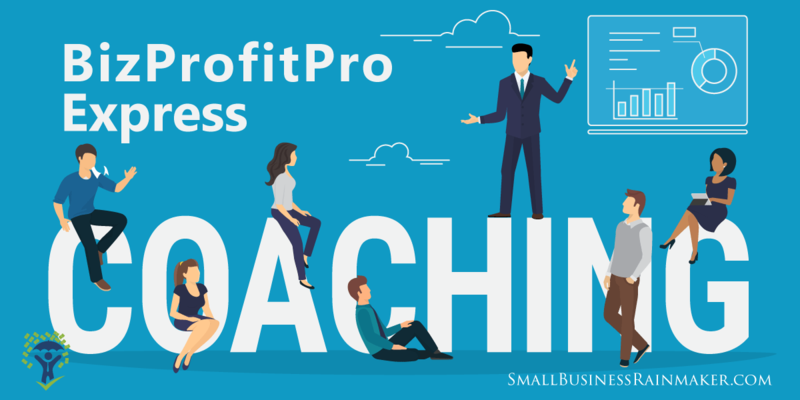 If you’re interested in getting faster and better results in your small business, you’ll love the BizProfitPro Express Coaching ™ program for three reasons. 1. It’s a different form of coaching because it's results-oriented and it works fast. 2. You get unlimited access to me as your personal, one-on-one coach for one full year. 3. It's designed for small business owners who recently purchased their company, or for owners who are ready to improve their financial situation. If you're reading this, you probably just purchased a business through Marv White at Bizprofitpro. This coaching is designed specifically for you. Allow me to explain how we do this effective form of high-impact business coaching, and why it works so well. 1 – After you sign up, you get a link you can use for the next full year to schedule as many 15-minute BizProfitPro Express Coaching™ sessions with me as you like. 2 – We start with a 30-minute introductory call to talk about where you are in your business, and what your goals are for the coming year. 4 – After each call I send you an email with a link to a recording of our call, your homework, and the link to schedule your next call. If you prefer, we can send you a written transcript, too. 5 – You can schedule your next session using my personal Express Coaching Calendar as soon as you've finished your homework. That's our primary rule, because it's what makes this program work so well. 6 – You have one full year to get on the phone with me for as many sessions as it takes to get “Express Results” and reach your goals. 7 – You also get Unlimited email follow-up for a full year. If you have a question between calls, you can email me any time. Why on earth am I offering a coaching program like this? Yes, I know it seems counter-intuitive, maybe even a bit crazy, that I’d offer unlimited anything for a full year, and at a set price. But there is compelling evidence as to why this is one of the most powerful ways to approach coaching. Many years ago, I joined my first coaching group. I was nervous because I really couldn’t afford the $7997 annual fee. Plus, my business partner wasn’t convinced this was a good investment, and neither was I. During lunch the first day of the first meeting, I talked to one of the presenters about a sales letter problem I had, related to something he said in his presentation. I didn’t know how I was going to raise the price of my products (I had no choice) and I was looking for ways to soften the blow to my customers. By the end of that 15-minute conversation, I had a rough outline of a sales letter that netted us over $50,000 in the following weeks. It was huge. And our customers loved us—even after a significant price increase. I got back more than 7 times my investment in ONE 15-minute coaching conversation! I had been too close to the problem. The fellow I was talking with instantly saw the problem in a new way and together we came up with one simple action step that fixed the problem. During a different meeting prior to that, with another consultant, I had a similar experience. After briefly discussing the direct mail campaigns we were using, he made one minor suggestion. That brief 10-minute conversation helped us triple our sales the following year and double them yet again the next year. And a couple years later our company made it to the Inc. 5000 list of fastest growing companies in the USA. My biggest insights over the years always happened as a result of short, laser-focused conversations with an “outsider” which yielded brief moments of insight. With our BizProfitPro Express Coaching™ I’m recreating those bursts of “insight + action” to get you the results you want. Inevitably, lots of little actions lead to big results. Sometimes one little action leads to home-run kind of results. Another reason I’m doing this is that I love the world of small business. There’s nothing like working with a fellow business person and watching them find peace of mind and a sense of security through their business success. So, we start our coaching sessions with a 30-minute call to talk about your goals and the big picture. You’ll soon see real results start to happen with the incremental steps you take after each call. Our coaching sessions will be laser-focused for maximum, consistent results. Now I can’t promise you’ll get results like I did, but you could. You can probably do even better. And I’m confident you’ll get your initial investment back within the first few 15-minute calls. How can I offer unlimited coaching at this price? As you probably know, world-class business coaching can be a huge investment. I paid one coach/consultant $29,940 per year, about $2495 a month. The Peak Performer’s Group I was part of set me back $7997 a year. In our own Rainmaker Strategy Sessions, you’d pay up to $2120 PER DAY to hire me hourly. But because we’re following my Express Results formula, Focus + Action Step = Result, we’re laser-focused on your problems in highly effective 15-minute bursts. We cut away the idle chit-chat and other distractions that can interfere with extended coaching sessions. We focus on those golden 15-minute sessions to keep you moving in a profitable direction. Less of my time + laser focused calls means a lower cost to you. Sure, there’s a risk that you’ll take more of my time than I estimated, but that risk is all on me. So, you might as well benefit! The net result—you get unlimited access to that same high level of business advice and direction during our 15-minute Express Coaching sessions that regular coaching clients get. You’re completely protected with this guarantee—If during our first 30-minute coaching session, either of us feels the sessions are not a good fit, your money will be returned immediately, and the coaching terminated. Just let me know during the call. No Risk! You don’t have to jump through hoops and there’s no weasel clauses. Just tell me during that first call you don’t think it’s right for you, and you’ll get an immediate 100% refund. If nothing else, we’ll have had a nice, informative chat! Plus you can rest easy on the fact that we're also a Better Business Bureau (BBB) Accredited Business. Those who know me best tend to hire me fastest. If you don't know me very well yet, I'll share a few testimonials to let you know this is an amazing opportunity. “The marketing tactics Andre shared with me took our small family-owned restaurant from zero at startup to well over $1 million annually. Honestly, I never expected to get to that level or do it so quickly. When we started out nine years ago, our accountant couldn't believe how well we were doing for a new venture. And we stayed at a successful level. 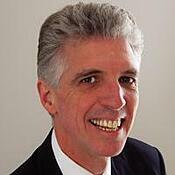 “I don't like Andre Palko's Small Business Rainmaker. ...Andre was an inspiration to me as we developed our own newsletter format in the beginning. That newsletter has proven to be wildly popular among our own customer base and has made cold calling a breeze! The first time I went "on the road" after having sent out monthly newsletters for a year or so, I was completely surprised at the welcome I received! Once the words "I'm Lee from Letterpress USA" came out of my mouth, people would come out from behind the counter to give me a hug or shake my hand. BEST IDEA I have ever implemented! No, we don’t administer our own payment plan for this coaching service. But there are two easy workarounds. As you already know, this is an incredible price reduction for a high-value coaching program. With our concentrated focus on achieving rapid results for more clients, we can't offer a payment program and then devote resources to keeping track of whether everyone is current month-to-month. Even worse, we don't want to turn anyone away during their program for being "behind." So, we don’t handle payment plans ourselves. 1 – Sign up and pay with a credit card. Then make payments to the credit card company at your convenience. You can stretch it out at your convenience. The reality is you can get an even better payment plan through those two options than we could ever hope to offer. I think I’ve made the coaching program as clear as possible. 30-Minute Introductory Call – we discuss your current situation and outline a plan of attack. Unlimited Bizprofitpro Express Coaching™ calls for 1 year. Schedule your next call as soon as your "homework" is done. Save all your call recordings and refer back to them when needed. For those who prefer the written word, we automatically transcribe all your coaching calls. Save all transcripts with your recording for future reference. You can email me any time between calls. You initially received a business valuation from Marv White at Bizprofitpro. After 12 months in the coaching program, Bizprofit pro will do a free business appraisal so you can track your progress from Day 1 through the end of your first year. This helps you gauge your progress and alert you to the need for possible course corrections. 25% discount on Rainmaker products and online courses (excluding coaching services) for the year. Free access to the Rainmaker Membership Site and our growing Marketing Library. Every successful business person has one or more mentors in their life. Aside from valuable information, mentors provide accountability. It’s a powerful tool that ensures you get things done, and get them done faster than your competitors. It’s not a requirement to make mistakes in order to be successful. Granted, we will indeed make them. Yet with the right guidance in the form of coaching from experienced business owners, you can avoid so many costly mistakes. You get to where you want to be, faster. The “mastermind effect” is the result of two or more people focusing together on a problem. Psychological studies of group effort and a long history of business successes have shown that groups, working in agreement, outperform the individual working alone. Napoleon Hill said it was as if there was another mind present, the mastermind. Business coaching is a form of masterminding. If you’re not quite ready to sign up, please read the above message again. Or use the Contact Us form to get in touch—I respond personally to all inquiries from this page. If you still don't believe this is for you or you’re not sure I can help you, then Contact Me with your questions. I can certainly point you in the right direction. Even better, just sign up and have that first phone call with me so that you know with certainty if this is right for you. There's zero risk, and it could be the best action you take today to have your best year yet.